Walking meditation is a way to return to your breath and take a few moments to practice settling yourself down. Getting unstuck starts with zeroing in on your body, your breathing, and checking in with where you are. As you walk, you match your inhale breath to the words In the here, in the here and then you exhale to the words In the now, in the now. As this Buddhist monk and teacher says, the words are different, but they have the same meaning: I am aware of breathing. I am in the now. I have arrived. I am home. I know where I am. Last spring, I co-led a silent retreat that used Thich Nhat Hahn’s writings and exercises as the content to our liturgies. 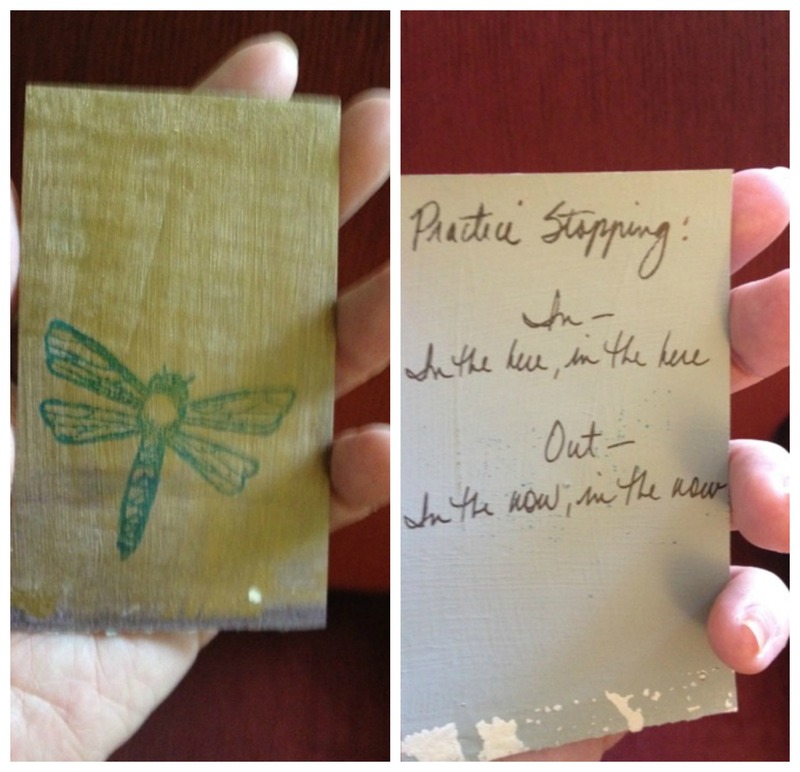 I made prayer cards using Thich Nhat Hanh’s meditations meditations for each liturgy. This prayer card shows the “in the here, in the here” meditation. You could write down these words. Put them in your pocket to remind you that any time you want to practice getting unstuck, a very good place to start is with your breath. See what you notice and check back in for Step Six.